Joining us as guests in the Club 135 Lounge tomorrow will be Jim Clark and his son Andrew. Jim is the brother of Tom Clark, who many will remember leading the Cowdenbeath attack back in the 1960s. Big Tam was three times top scorer for Cowden and starred in our Scottish Cup run in 1965/66 with some dramatic late goals as we played in six epic ties v Arbroath, St Mirren and St Johnstone. Big Tam sad to say passed way in Australia some years back and Jim has long wished to visit the ground where his brother used play. 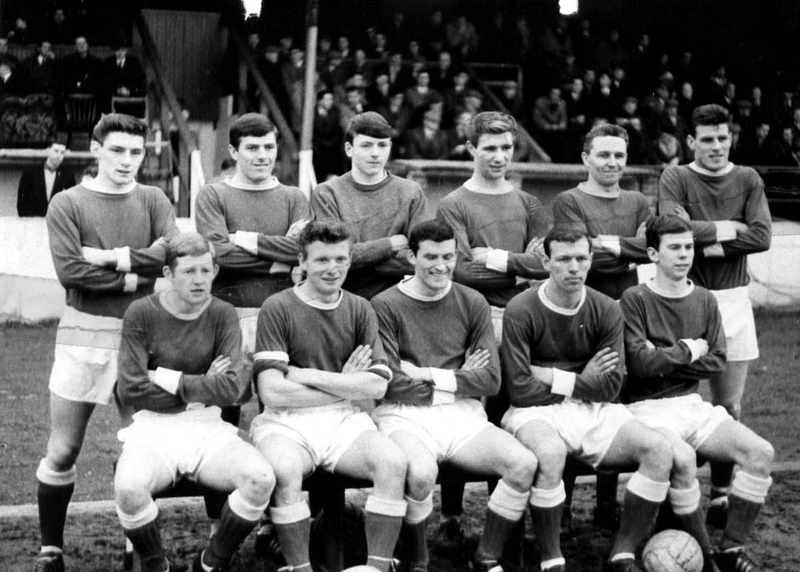 Picture shows Cowdenbeath FC in 1967 – Back row (left to right) – Andy Rolland, Henry Mowbray, John Fyfe, Andy Kinnell, Mike Clinton, Jim Taylor. Front row – Roger Sugden, Jim Burns, Pat Henderson, Tom Clark, Davie Donaldson.